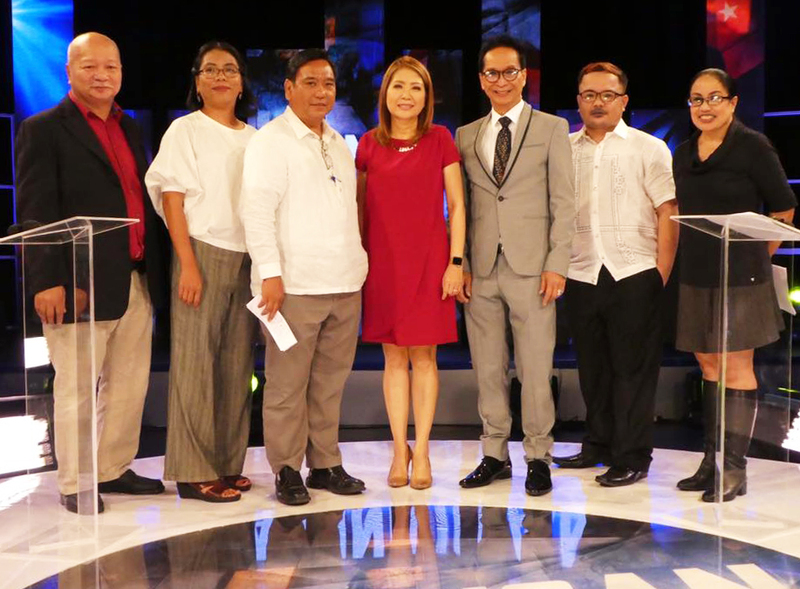 After weeks of hype, TV5 will finally air its new political debate program, Manindigan, beginning tonight at 7:30PM. Moderated by News5 chief Luchi Cruz-Valdes, the new monthly offering from the Kapatid Network is hoping to benefit from the Duterte-fied news cycle by talking about the issues facing our country today. For its pilot presentation, the six participants will square off on two key issues: the Duterte administration's widely criticized war on drugs, and the implementation and extension of Martial Law in Mindanao. Arguing for the affirmative side are Chief Presidential Legal Counsel Salvador "Sal" Panelo, and die-hard Duterte supporters RJ Nieto and Trixie Cruz-Angeles. Taking on the negative side are journalist Philip Lustre, KARAPATAN secretary general Cristina Palabay, and NUPL secretary general Atty. Ephraim Cortez. This is not Cruz-Valdes' first time as moderator of a television debate. Last year, the now-solo anchor of Aksyon received rave reviews for her handling of the 2nd PiliPinas Debate.